Some travellers are born with the adventure gene engrained in their bones while others learn to love the outdoors during later years. There are also generations of four-wheel drivers who grew up, glued to the telly watching the antics of Malcolm Douglas, Roothy and the new-age guys like Shauno, Jason and Simon. 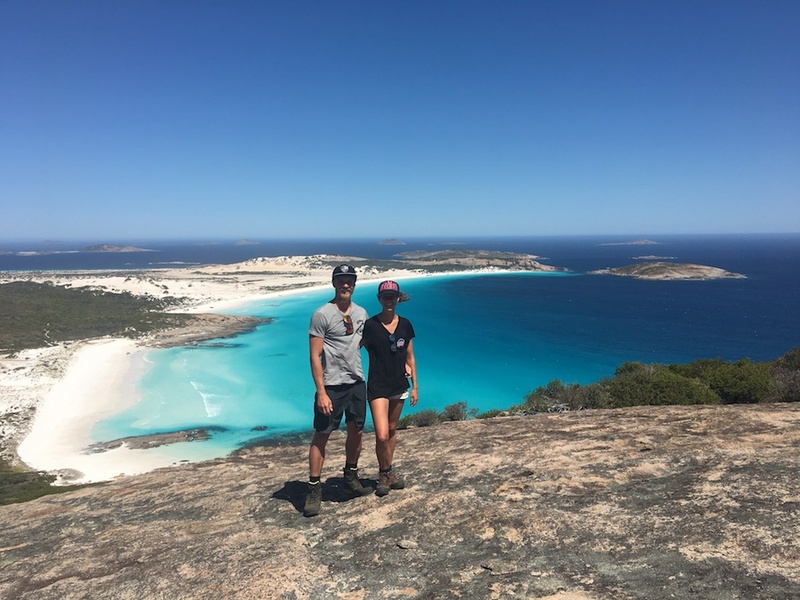 This week we feature, Rick from Touring Downunder who, as a young tacker was very impressed by the travel tips and expeditions of Malcolm Douglas. 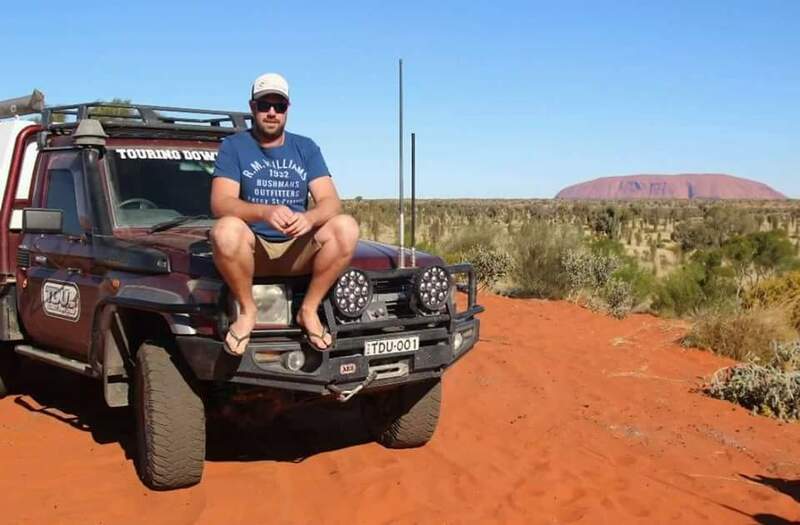 Rick has continued to live his life to the fullest, exploring parts of Australia that most people will never take the chance to tick off their Bucket List and his passion for cars drives deeper than his good lookin 76 Cruiser. Enjoy Ricks story. I’m in the process of building a new touring canopy with a full self-sufficient setup in time for our annual VIC High Country trip. 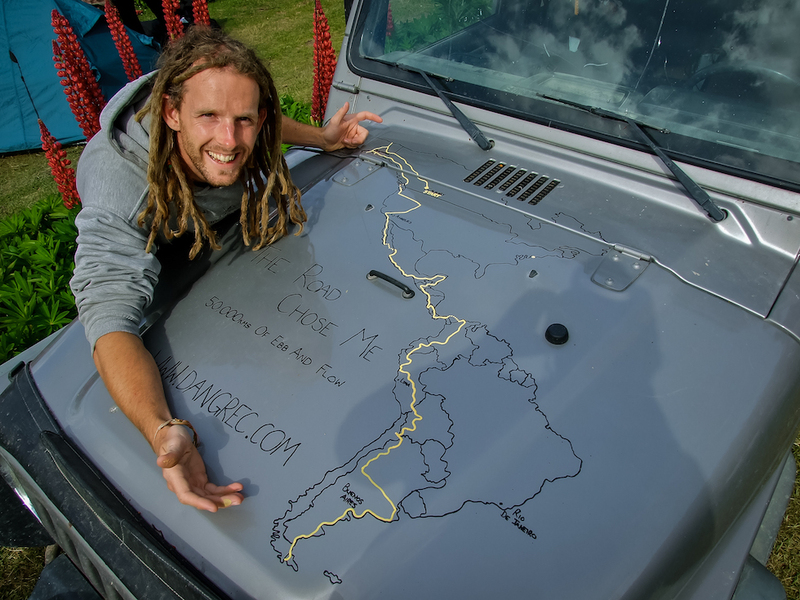 What is your current off-road vehicle, including your set-up/living arrangements? 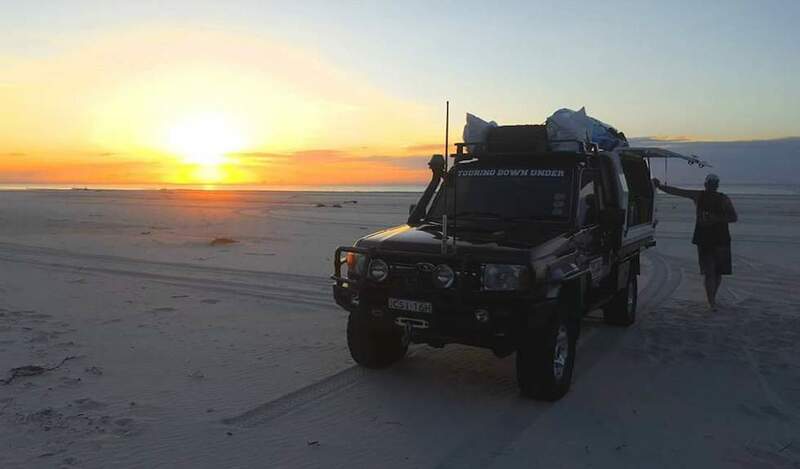 I have a trusty 79 Series Cruiser single cab ute, which I’ve owned for eight years and put a lot of kms on the clock while touring. It’s fitted with 2 inch lift, fox shocks, air bags in the rear to hold the wife’s “everything but the kitchen sink” when we’re on the road. 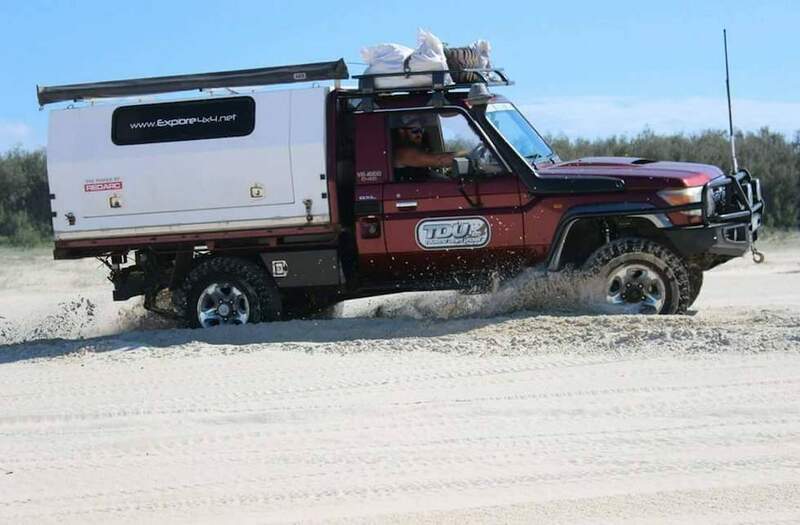 Front and rear warn winches for those sticky situations, touring canopy with kitchen one side, bed and storage the other which makes touring easy when you can open the door and climb on in. Powered with Redarc gear, Legendex exhaust and a remap solutions tune for that extra power. There are many more proud pieces on this old girl but just too much to list them all. As soon as I could legally drive, I could not wait to get out and tackle the roads less travelled. Growing up on a small property, the farm trucks gave me plenty of experience. A 1990 2.8 diesel single cab Hilux. Yes, I was always late in the 2.8! Watching Malcolm Douglas as kid was definitely my inspiration. 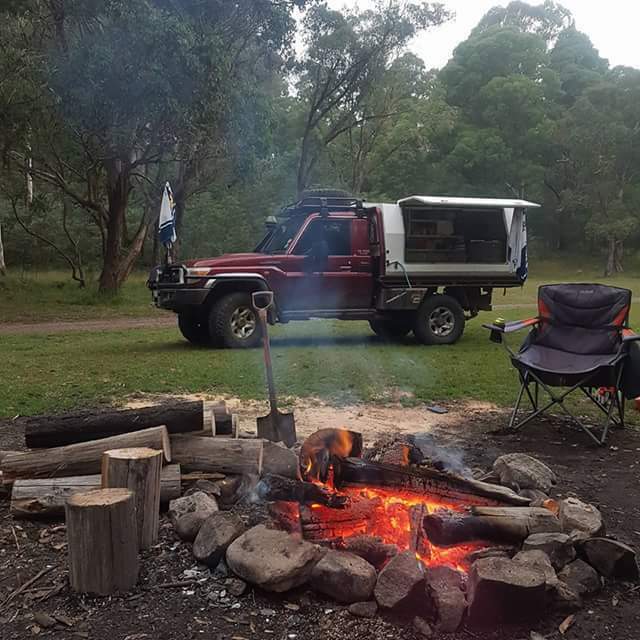 It would have to be camping at King River. I was standing beside the fire, and a battery exploded out of it, whizzing past my ear and landing near my car which was parked some distance away. I was pretty lucky to have not copped it to the head but definitely felt the wind off it. That was a big ‘wake up’ moment!! A good lesson was learnt to check fire pits from previous campers before lighting your fire in it. You just don’t know what people find amusing to try and burn! 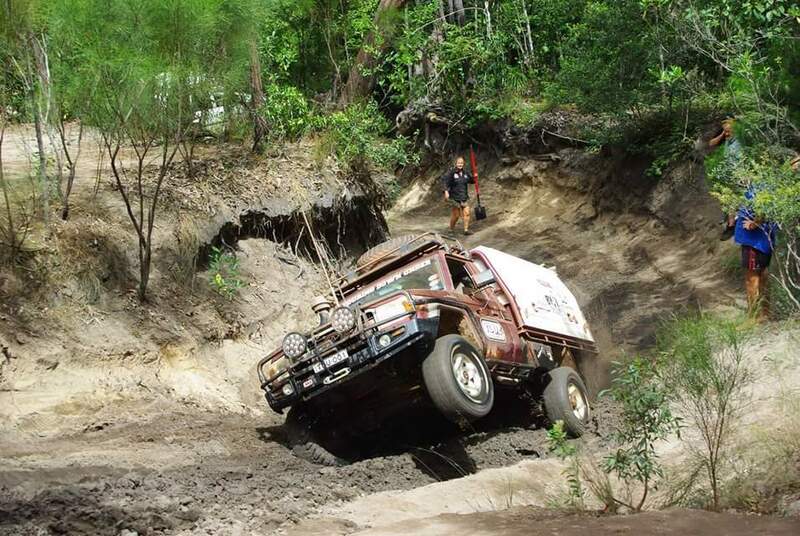 Its hard to narrow it down, but who doesn’t love any 4wd track?! For so many reasons the favourite would have to be Billy Goats Bluff in the VIC High Country. The steep ruggedness, the views, the challenges and those moments that take your breath away. They are so good and bad but definitely make it one track you cant forget! My ideal campsite is anywhere under the open stars. If you’re lucky enough to be out camping is there ever really any bad spots? If it has a river or a view that’s just a bonus. The Canning Stock Route is up there for me as being one of the most challenging and remote 4WD tracks that covers roughly 1850 kms of pure off-road heaven. The history that comes with it makes me super keen to get out there and let the tyres down. Don’t rush, allow yourself plenty of time to find all those hidden spots. Research destinations to prepare yourself for the extras you may need to carry. Drive to conditions. You sometimes don’t need all the bells and whistles to get out and see these great spots just lock in your hubs and be prepared to explore. My Redarc Solar blanket! It allows me to be parked up for days at that beaut camp spot without a worry in the world that the beer could go hot. Oh, and a stubby cooler. Tell us something that most people wouldn’t know about you. I have a passion for collecting old Holdens and restoring them. During the days I’m not out on the tracks you’ll find me in the shed tinkering away or at a car show with my pride and joys.